His predecessor, Kofi Annan also remarked that the world food crisis threatens to destroy years of economic progress, and may push millions back into abject poverty. A Chatham House paper suggests that it jeopardises our ability to meet the Millennium Development Goals. Food shortages are inextricably connected to conflict, political instability, environmental questions, and the failure to reform global agriculture and longer term productivity in Africa and elsewhere. Take a country like Zimbabwe. This lush and once food-rich country was ground down by a regime which allowed its people to be pushed into abject poverty and starvation; that banned the work of relief agencies; that terrorised political opponents; that allowed inflation to spiral entirely out of control; and where a woman’s life expectancy is now just 33 years of age. But Zimbabwe is not alone. Every single day 25,000 people die of hunger or hunger-related causes in dispirit parts of the globe – children dying of hunger in Ethiopia – where the poorest can now only buy 40% of the food they could buy two years ago, and 4.6 million people are urgently in need of food – famine in North Korea, the plight of the people of Haiti – these are all harbingers of worse to come. Many other fragile countries will reap the whirlwind of our failure to address a crisis that the United Nations’ World Food Programme (WFP) has called a silent Tsunami affecting every continent, plunging more than 100 million people on every continent into hunger, and plunging more countries into violence and instability. Spiralling high food prices are creating a huge challenge. In the UK higher food prices are causing us all to tighten our belts but in vast swathes of the world – where even before the crisis around 3.5 children die annually of malnutrition – there are no belts to tighten. The UK Government currently spends less than 1p per malnourished child per day. 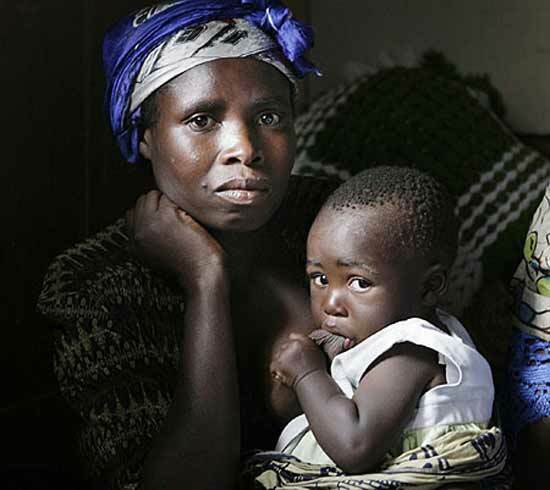 The devastating impact of the world food crisis on malnutrition will add to what was described in a series of papers published by The Lancet as a “fragmented and dysfunctional” international response to malnutrition. Save The Children cite a World Bank confirm that more than 100 million people will be pushed into poverty as a result of food price rises; and they say that 854 million people were already hungry before prices started to rise, including 178 million children under five who were stunted. The cost of food accounts for half the expenditure of a poor family and, as prices rocket out of control, those families simply cannot keep up. An average family in Bangladesh that has £2-50p a day will spend £1-50p on food. A 50% rise in the cost of basic food requires a further 75p – leaving them with just 25p for all other expenditure. This shocking situation has been compounded by rising oil prices that have made farming more expensive and by natural disasters such as Cyclone Nargis in Burma, the Sichuan earthquake in China, flooding and droughts and by crop failures in countries like Ethiopia. It has been accentuated further by the rapid industrialisation of vast parts of the world – especially India and China. That in turn has led to demands for more and better food. The acute nature of the crisis in some parts of the world has already forced World Food Programme to reallocate some of their resources – they suspended, for instance, their school feeding programme to 450,000 Cambodian children – because they do not have funds to meet all the challenges. WFP representatives in 78 countries around the world are facing similar challenges. In the short term the world food crisis will lead to sudden unexpected starvation and therefore to death. In the long term, development programmes will collapse and nutrition losses will damage children for a whole lifetime. The consequences of the 1990s famine in North Korea, for instance – I chair the All Party Group on North Korea -, can best be seen in the contrasting stature of North and South Koreans – the average adolescent in North Korea is 18 centimetres shorter than his counterpart in the south. Stunted growth and malnutrition damage bodies and educational attainment. Failure to take the right decisions on agriculture, bio-fuel production, subsidies, tariffs and trade are they key factors in precipitating this crisis – not, the old bogey of population. Gandhi famously said there is sufficient in this world for people’s needs, but not for their greed, and that remains true. The President of the World Bank, Robert Zoellick, called for an immediate extra £370 million to meet the needs: “The world can afford this. The poor and hungry cannot” he has said. The World Trade Organisation can take a lead in this and they need to be persuaded to abandon grossly distorted trade policies that have, for instance, forced Japan to import rice while it produces large surpluses (770,000 tons of unwanted and unneeded rice were imported in one recent year alone). And what else might we do in the longer term? Food output in many impoverished parts of the world could be doubled or tripled by creating a special fund to support the world’s poorest farmers – helping them obtain seeds, fertilisers and irrigation. Drought resistant crops need to be developed and more research undertaken into ways of bolstering food production. As well as a “green revolution” we must persuade European and American governments not to use corn to make ethanol, or to displace food crops by oil seed for use as biodeisel. This is a classic example of the law of unintended consequences. How many people could be fed by the food used to fill the tank of a four-wheel drive Mitsubishi Shogun? The US is spending $7 billion annually in subsidies for maize-based bio fuels. The diversion of this maize from the international markets accounts for a third of the price increase but it also says something about our priorities that we would rather fill a petrol tank than the stomach of a starving child, rather use food to feed our cars than hungry families. The moral bankruptcy of feeding cars at the expense of malnourished people should be self evident. There is also increasing evidence that biofuels have limited C02 benefit and through the clearance of rainforests and other pristine areas like peat bogs, will increase C02 emissions. Instead of subsidising bio fuels we should encourage the World Bank to get on with its plans to provide social safety nets – particularly insurance for poor farmers hit by natural disasters such as drought. This would tide them over until better times come and allow them to stay on the land. Too many feel forced to migrate to the squalor of urban shanty towns. But the World Bank also needs to atone for the too rapid liberalisation of markets in the developing world. The consequence has been the initial dumping of food by Europe and the US and the consequential reliance of poor nations on cheap imports attended by the abandonment of farming by their own people. “Back to the Land” is a call that needs to go out all over the developing world. Long before Thomas Malthus published his “Essay on the Principle of Population”, and the later ideology of eugenics was promoted by Marie Stopes and the rest, there was always a tendency to attack population as the problem rather than poverty. More recently, in 1968, Paul Ehrlich, in his book “The Population Bomb” argued that the number of human beings on Earth would soon outstrip the food available. The book is primarily a repetition of the Malthusian catastrophe that population growth will outpace agricultural growth unless controlled. Ehrlich assumes that the population is going to rise exponentially, but that the available resources, in particular food, are already at their limits. The solution, he said, lay in “population control”, policies such as the encouragement of sterilisation, contraception and abortion and, in extremis, the cutting off even of humanitarian aid to countries who refused to take such measures. If we did not do this he said it would result in mass starvation not just to the developing world, but in America, too. He predicted that America would only be able to support a population of 30 million people by the end of the twentieth century – about 10% of the actual figure in 2000. He also said, in 1969, “I would take even money that England will not exist in the year 2000”. Happily, as with most doomsayers, time has not proven kind to Ehrlich’s predictions. Yet his fatalist analysis retains much influence, despite its flawed reasoning and predictions. Ironically, today’s low fertility rates in Europe, North America, Japan and Australia are now having severe negative consequences for these countries but when people’s standard of living improves, population falls naturally. The other danger of an over exaggerated emphasis on population control is that it leads to coercion. In China the one child policy has had shocking consequences, such as the distortion of the gender balance with 117 males being born for every 100 females; and not least for personal freedom. Ask the blind, bare foot, human rights lawyer, Chen Guangchen, who was jailed for four years, in 2006, after exposing the forced abortion or sterilisation of thousands of women. They say that “we need to grow more food” and that our failure to invest in research and development of food production and agriculture is the reason why demand is currently outstripping supply. Investment in R and D has been falling 0.6% per year since 1990, while we have fantasised about GM. Instead of investing heavily in developing crops that can tolerate heat, floods and drought, GM has been presented as a cure all. Companies like Monsanto have done nothing to boost overall production levels of food but have striven to monopolise the agricultural seed market. A 2006 report from the US Department of Agriculture states: “Currently available GM crops do not increase the yield potential of a hybrid variety. In fact, yields may even decrease if the varieties used to carry the herbicide tolerant or insect resistant genes are not the highest yielding cultivars.” Yields may even decrease. So, to sum up, in trying to understand the forces at work in driving up food prices and their consequences we should be careful not to tilt at the wrong windmills. In the short term world leaders will have to increase resources; but there must also be significant investment in research and development, science and technology to enhance yields and land use; increased efforts to ensure an end to distorted trade policies; and a repudiation of quick fix solutions such as bio fuels. Enter your email address to follow DavidAlton.net and receive notifications of new posts by email. The Danube Institute Conference on Invisible Victims and Religious Freedom, April 9th, 2019, The Reform Club, London. The World of Yesterday – Memoirs of a European – Stefan Zweig: and its relevance to Project Hate 2019. Primodos: A Welcome Review Into A Drug That Did Enormous Harm – including follow up letter from the Minister for Health. House of Commons debate on forced organ harvesting. Follow up Questions and Minister’s reply- April 4th 2019 – in the Lords. Spectator Article. How To watch the China Tribunal on line. Questions in Parliament on the Muslim Uighurs . Ministers Questioned in the House of Lords about tortured lawyers; demolished Christian churches; abducted Pastor; organ harvesting and incarceration of Uighurs and how the continued deterioration of human rights in China will fuel resentment and radicalisation across the globe and threaten China’s desire to create a harmonious society. Speech by Fiona Bruce MP about the Uighurs.